Hello from a newbie blogger! The new Malimo Mode Blog! My aim is to blog about teaching methods, resources, my classroom, Norwegian nature and my teacher life in general. I live in a very rural area, and I have so many things to show you. Wonderful blog! Glad you joined us! Your blog looks fantastic!! Congrats on the new blog launch 🙂 Best of luck to you! Feel free to reach out if you ever have any questions! Hi Maren! Welcome to the wonderful world of teacher blogging 🙂 You'll find an incredible amount of ideas, support, and friendship through following other teachers. I hope you enjoy the community! Your blog looks great! I'm fairly new to blogging also. It's so much to take in, but so much fun. Welcome to teacher blogging! 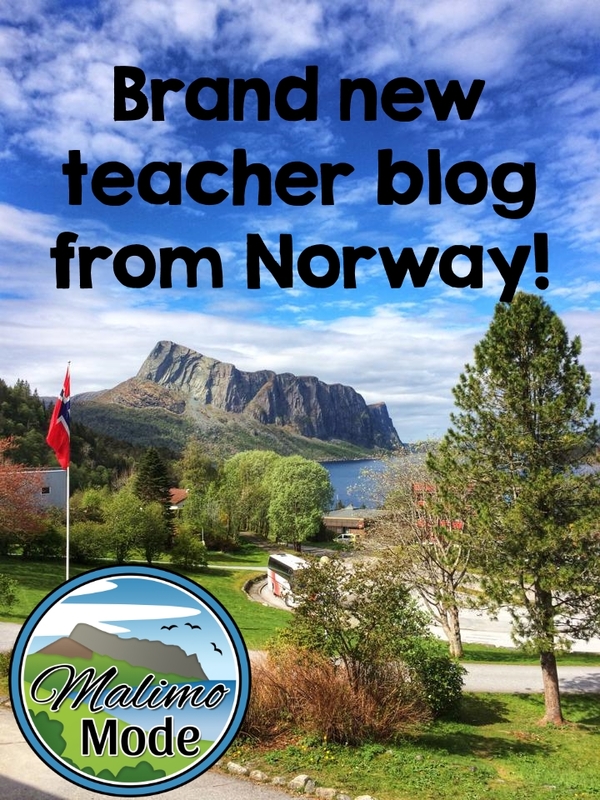 I've really enjoyed following you on Instagram and I'm excited to read your posts and learn more about teaching in Norway! Very cute! Love the pictures! I'm excited to read about Norway! My blog is Mrs. McLaren's Little Super Heroes! Your blog looks great! I'm a newbie too. Good luck with this new adventure.